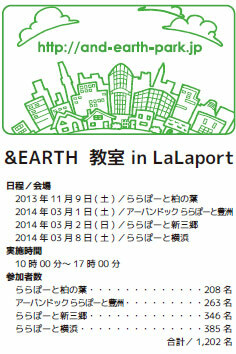 Suzuki labolatory of Kogakuin University has cooperated with Mitsui Fudosan Co., Ltd　and BeGood Cafe for “&EARTH” project. This project offers people various events that featured load reduction and Quality improvement. 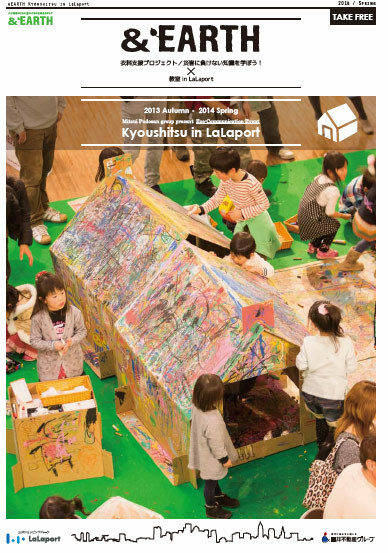 Since November 2013, the project has used Suzuki’s cardboard shelter as “Oekaki Cardboard house,” that is playing and painting house for children. Our primary purpose to develop the cardboard shelter was to offer convenient and comfortable space for refugee who are living in gymnasium. It is rational size to change clothes and to sleep. However, these types of scale seems exactly playing houses for children. 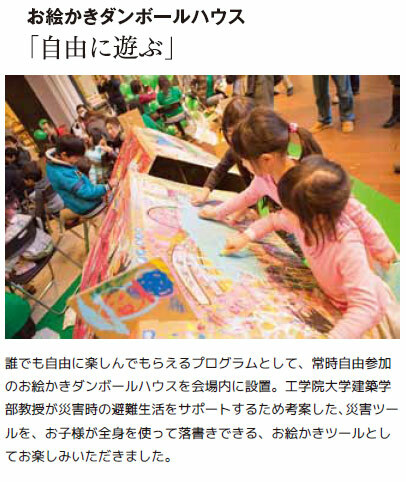 Sequentially, Mitsui Fudosan holds the events again in 2014 at five places around Tokyo. The events is hold in ordinary shopping mall, not in the emergency situation. 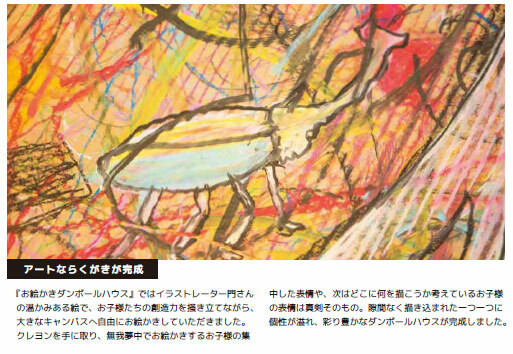 While children are enchanted with the houses, adults can realize that the house is one of the basic element, that is, food, clothing, and shelter. 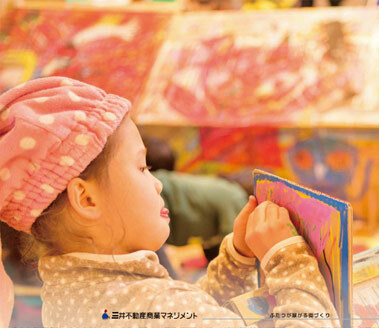 Thorough the experience of painting, we can confirm not only the importance of stocks of these houses against emergency, but also the smiles of children.